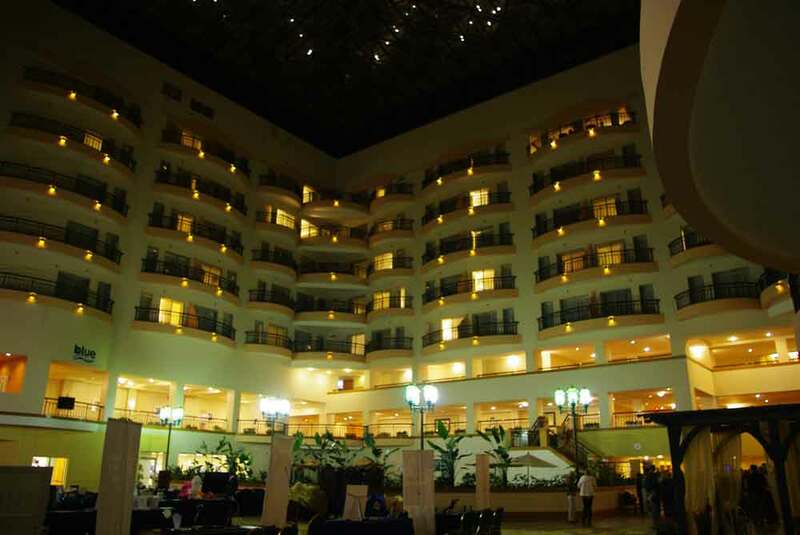 There was lots of downtime to explore the beautiful town of Savannah.The Savannah Marriott Riverfront was an ideal host hotel, the bright, open atrium providing the perfect vendor area, and the second floor banquet rooms acting as the site for both presentations and awards banquets. 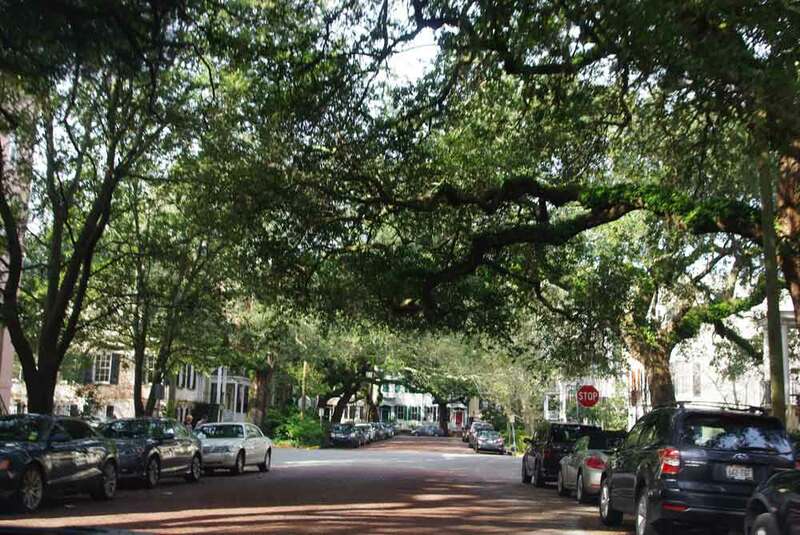 It was a short walk or drive to downtown Savannah as well as historic Water Street, and there were countless options for entertainment during the convention’s downtime. 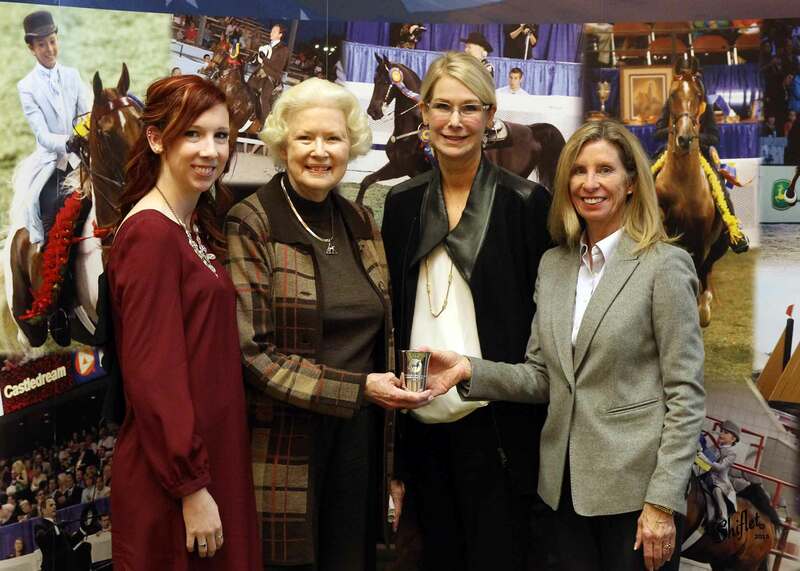 In a sense the event was a trial run for what is being called the 2016 Super Convention, which will take place in Boston next February, and will include the UPHA, ASHA, AHHS and the AMHA (American Morgan Horse Association). The first official day of the convention was dedicated mostly to the golf tournament at The Ford Plantation. The green fee of $150 a player included use of a golf cart and lunch, and there was an awards celebration afterwards with complimentary hors d’oeuvres, beer and wine. Though it wasn’t an official part of the convention, the USEF Judging Clinic, which had begun on Tuesday, continued throughout the day as well. 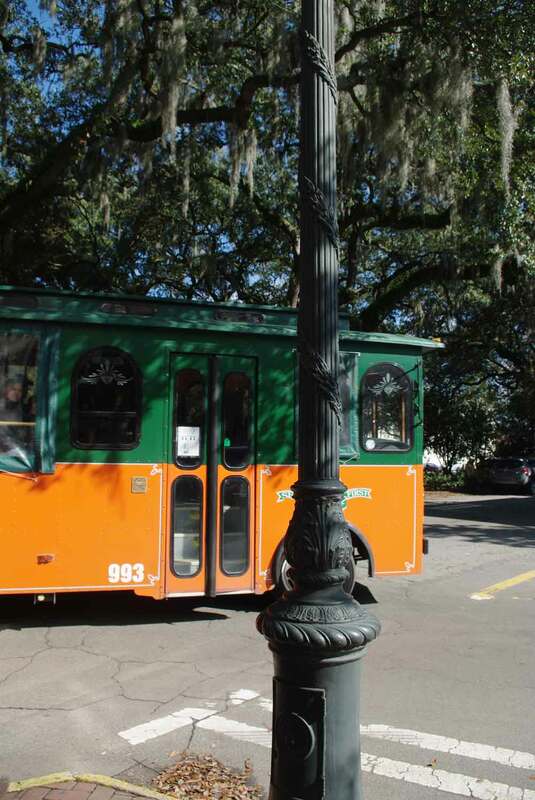 Board meetings for UPHA, AHHS and ASHA took place throughout the morning and afternoon on Thursday, but the day’s big event was the “Welcome to Savannah” party at 7 that night. The Trustees’ Garden where the event was held was just a block or two from the Marriott, but due to the rainy weather most attendees chose to ride the trolley in both directions, its sides covered with durable plastic to keep out of the rain. While the night was cold and dreary, it was a different world once you stepped off the trolley and in the doors. A warm glow was cast about the place, from the naturalistic orbs shimmering from the ceiling to the blue lights illuminating the stage. Like many things in Savannah, the building was old, oozing character and history, the exposed brick walls adding to the overall charm. Attendees received one complimentary drink ticket upon entrance, and were free to choose from the sampling of hors d’oeuvres, or wander to either of the two bars to quench their thirst. Those in the VIP section were served their drinks by event staff. Sponsored by Helen Rich and her daughter Ali, the party featured indie rock artist Taylor Phelan, who was signed by their own Medallion Media Group label with his band, The Canes, before competing in Season 7 of “The Voice” on NBC. BMI Songwriter Of The Year Rhett Akins took the spotlight next, performing his own hit songs as well as many of the hits he’s written for others. Both were appreciative of the horse world they’d walked into. But after riding one of Helen’s Saddlebreds, he found the best way to describe the experience was by likening it to skiing. 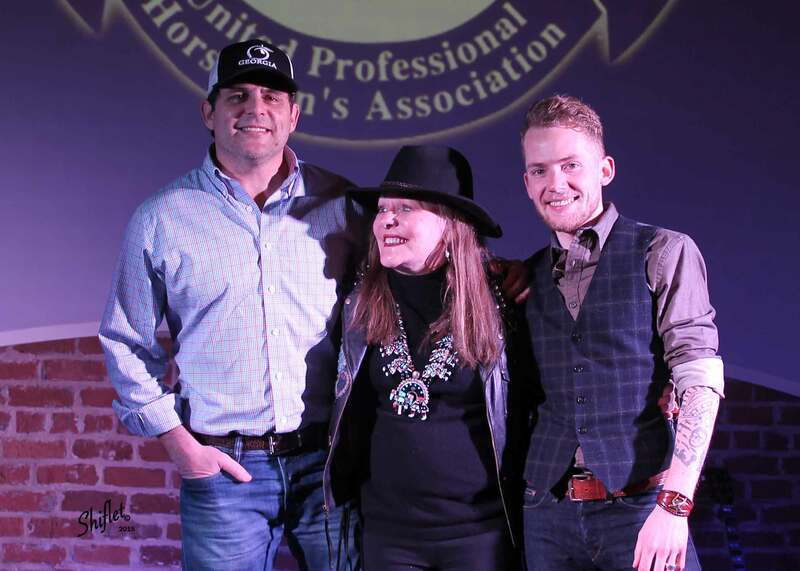 Though Rhett Akins grew up with horses, as his grandfather was one of the first people to introduce the Paso Fino breed to America, playing at the UPHA Convention was eye-opening to him as well. When Helen asked him to play he knew only that it was a horse convention but didn’t know anything about the saddle seat discipline. However, during his time there, he learned. “I looked at the newspapers and publications and learned a lot about it,” he said. And the experience also cemented what he already knew about horse people in general – they love country music! Hickey spoke about the council’s activity, including The Unwanted Horse Coalition and Operation Gelding, which gelded 1,000 horses since its inception, the Time To Ride initiative, which focuses on bringing newcomers to the sport, and the proposed creation of a National Equine Health Plan. And, finally, he spoke about bill S1406, which would create the Prevent All Soring Tactics Act of 2013 (PAST Act), written to amend the Horse Protection Act. 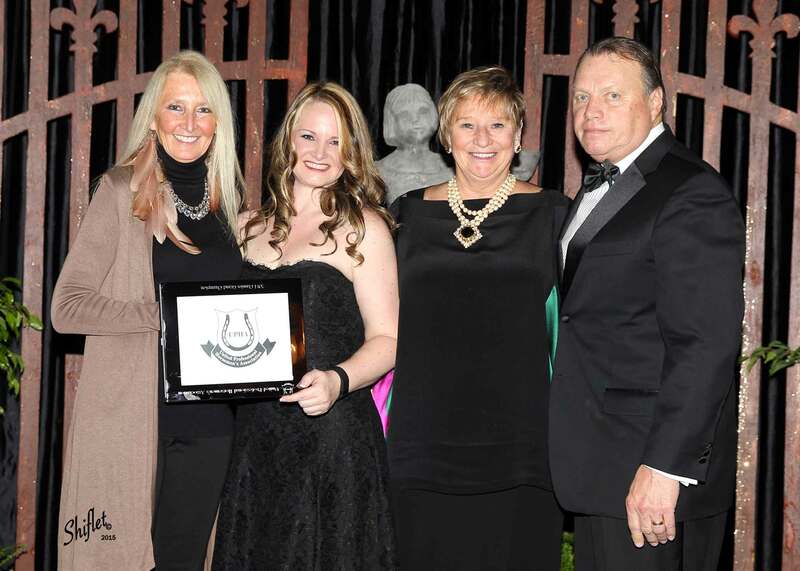 Amanda Dellinger owner of UPHA Classic Chamnpion Look Of Success with Lynda and Andy Freseth.The PAST Act has been met with fear from the saddle seat industry because, though it is aimed toward Tennessee Walking, Racking, and Spotted Saddle Horses in an effort to prevent soring in those breeds, other saddle seat breeds are often mistaken for Walking Horses, though they do not utilize (and would be hindered, not aided by) soring. It also mentions banning action devices, weights, pads and bands. However, Hickey assured the listeners that there was no reason to worry; the Horse Protection Act has been in effect since the 70s and this change simply clarifies things; if Saddlebreds, Morgans and Hackneys weren’t affected before, they won’t be now. 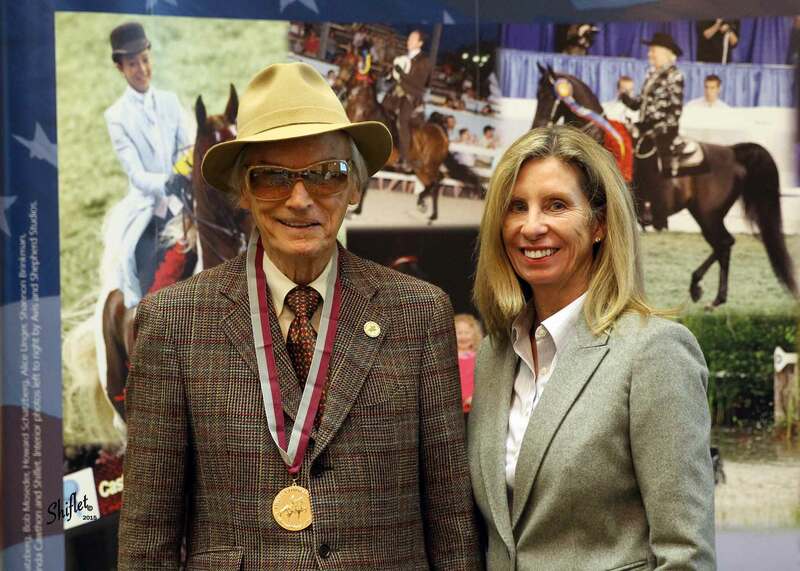 When the floor was opened up for questions and then discussion, it became clear that Hickey had assuaged most of the fears in the room, as questions were aimed less at the PAST Act and more toward the prevalent misconceptions that made the PAST Act a potential problem for the saddle seat industry. 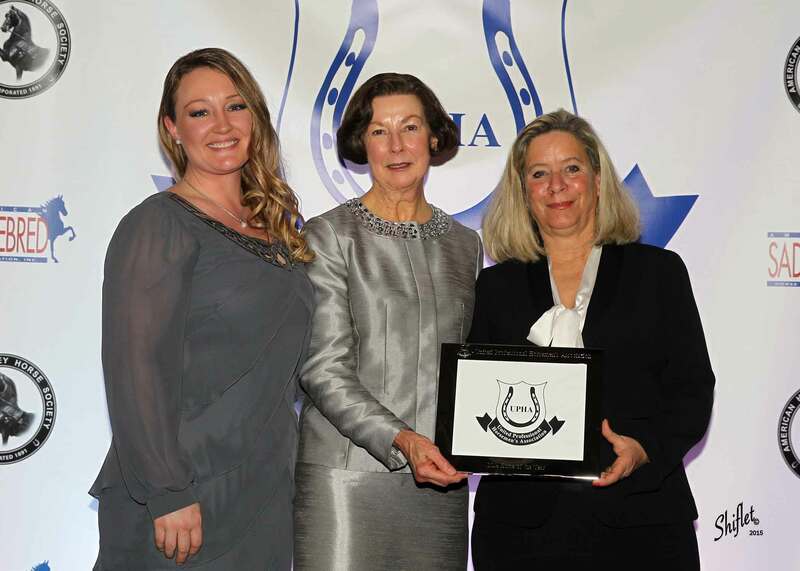 UPHA Chapter 3/4 Hortseman of the Year with Susan Aschenbrenner, owner of Country Pleasure Driving horse of the year CH Callaway's Cumulus. problem by explaining that “happy horses trot higher,” the theme from the talk he would give the following day. Scott Matton suggested promoting how many old horses in the saddle seat industry are still competing and winning, and noted how few other disciplines are able to say that same thing. It was universally agreed that people who have a problem with saddle seat aren’t the non-horse people, but are sadly the people from other disciplines. It was discussed that the Saddlebred image should be separated from that of Walking Horses; Nealia McCracken suggested promoting the Saddlebred as a trotting breed (where some can be taught an extra two gaits) rather than a gaited breed. Next on the agenda were the UPHA Active Members Meeting, during which officers were elected for 2015 and the Bylaw changes were reviewed, and the Associate Members Meeting, which also involved electing new officers. The UPHA Luncheon and awards presentation took place at 12:15. The first event after lunch was the Open UPHA Equitation Forum, which involved four rotating groups, each covering a different hot topic in the world of saddle seat equitation. Carol Matton and Missy Hughes Smith talked about saddle fitting with some help from David Freedman of Freedman Harness. Utilizing two demonstration riders and multiple saddles, they showed how, though the riders looked fairly similar standing next to each other, they required very different saddles to achieve their highest level of performance. Lynn McNamara worked in her group to clarify the numerous equitation finals, and even passed out a laminated cheat sheet with the qualifications and rules for each final, suggesting that trainers post them or keep them in their tack trunks as a quick reference guide. Lynda Freseth and Nancy Becker led the “Either/Or” group, discussing the many things in equitation that can be done a multitude of ways. As Lynda said, more people may teach it one way than another, and so when someone sees it done differently they often think it’s wrong when it isn’t. Examples that were discussed were holding the reins, the position of the foot in the stirrup, on what side the bight of the reins falls, which circle comes first in a figure-eight, how high a rider holds his or her hands, and how one should reverse. 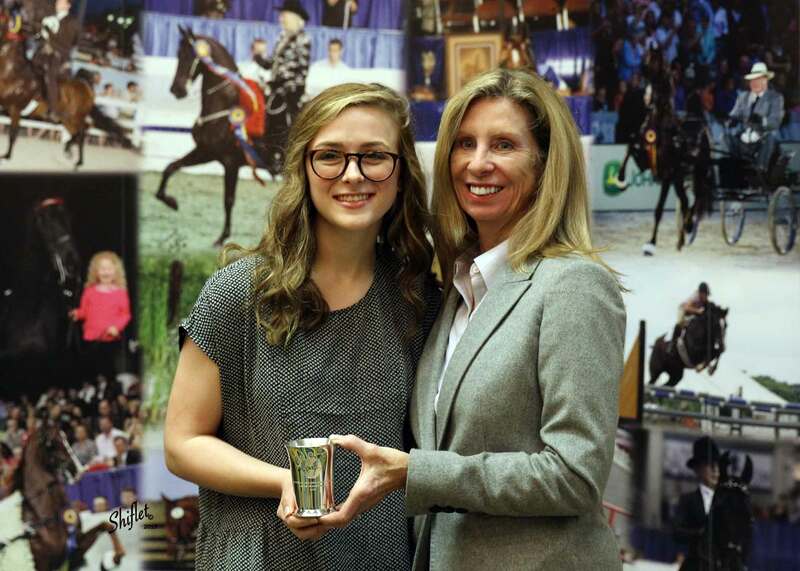 The ASHA Gillenwater Family Award was presetned to Suzanne Bradshaw and her daugthers Malissa Welke and Lindsay Sowell.The fourth group, headed by Kent Swalla, Barbe Smith and Kristen Cater, discussed the rules and selection process for World Cup and the Young Riders team. All three of them have coached, helped select the team, judged for the event and had their own students compete, and so were uniquely qualified to answer questions on the subject. The group covered everything from the selection process to the cost of joining the Young Riders team ($2,500) to the sort of horses that can be used for the event (a wider range now that horses are allowed to compete in snaffle bridles). Christy Parker handed candy out to everyone in the room, and then had attendees gather in groups according to what sort of candy they had picked. Each group was given a real life scenario and five minutes to come up with three solutions, which were then presented to the whole room. A number of fresh ideas flowed from the assignment, including an idea borrowed from High Caliber Stables on how to prevent riders’ parents from coaching their kids. “No sidetalking” has been a rule at High Caliber for many years, and it has become a much-loved concept; it is not uncommon for kids to “tattle” on their parents for instructing them from the rail or otherwise. It is both serious enough to work and light-hearted enough to be fun. McGee Bosworth receivd the Frank Ogletree Youth Award.After all the groups had presented, a packet was distributed that included a lesson plan form and a list of the qualities of a good instructor. During the discussion that followed, there was much talk about the place the academy division has in the industry and how to shift riders out of academy and onto a show horse – and if trainers should even worry about that at all. The forum overlapped with the ASHA Publications Committee Meeting, which was the final event before the cocktail hour began at 6 p.m. Following the cocktail hour was the UPHA/AHHS Awards Banquet. Dinner included salad, chicken, mashed potatoes and collared greens, as well tiramisu for dessert. While awards were presented to many notable people, Jesus Gonzalez Gomez received one of the biggest standing ovations as the 2014 UPHA Caretaker Hall Of Fame Award recipient. “The biggest problem in the horse business is that we don’t look at our finances as closely as we should,” he told the room. Sandra Surber, joined by her husband Ted and Rich and Maureen Campbell was the AHHS Ann Lee Spires Amateur Award recipient. He encouraged trainers to make goals and plan for retirement, and explained that there are more elderly horse trainers still working than there are elderly in almost any other industry, and that’s because they can’t find a way out. He suggested trainers create business plans, and warned them not to fall into the trap of “judging their customers’ pocketbooks,” or they won’t charge them accordingly. He also handed out a packet that included a sample horse show invoice, a customer satisfaction survey and money-saving tips for trainers and barn owners. 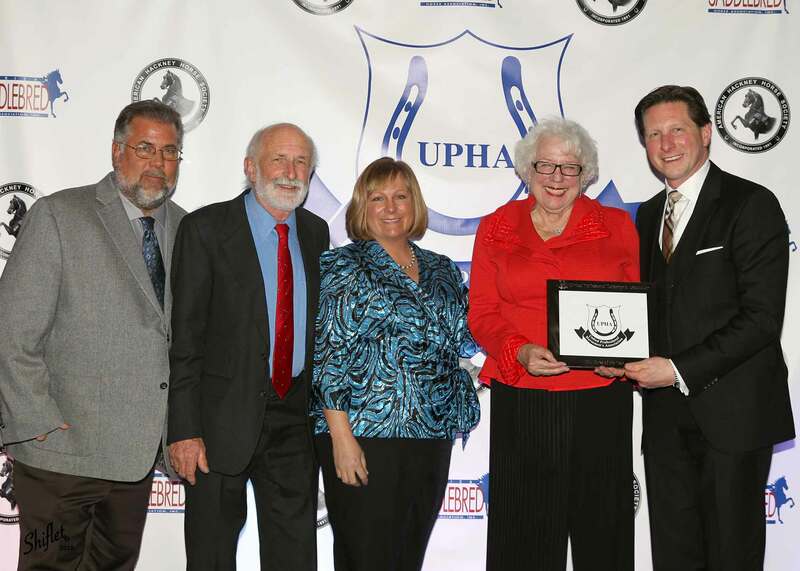 The ASHA Luncheon and ASHA Year-End Awards took place at 11:30, and overlapped with the UPHA 2014 & 2015 Board Meeting. After both these events, it was time for the UPHA Open Forums at 1:30 p.m. Bret Day and David Freedman began the forum, talking about how to properly fit a harness. Bret reminded the room what David always teaches: the horse isn’t pulling the buggy; he’s pushing it through use of the breastcollar. He explained that he adjusts his backpads further forward than a lot of people in order to get more leverage on the check, and spoke for a few minutes about the importance of clean and well-adjusted equipment and how there was no need to be sloppy. “Sometimes you can’t fix things on a horse, but you can fix a harness on a horse,” he said. Both he and David talked about what kind of split to choose in a check, and how the hinge in the horse’s neck should determine it; David spoke more on where to sit the backpad. Toni Nastali, owner of UPHA Harness Pony Classic Champion Heartland Copper Illusion with Maureen and Rich Campbell. “The backpad is really the thing that connects the tail to the mouth, so think about where you want that break point to be,” David explained. They talked, too, about how fitting harness to a standing horse is one thing, while a performing horse is another. The harness should always be fitted in the way that best helps the horse while in motion. Smith Lilly was up next with his presentation entitled, “Happy Horses Trot Higher.” Those who have read his book, “Saddle Seat Horsemanship,” will be familiar with many of the concepts he presented. He spoke about how saddle seat is the only discipline that rewards the horse for doing what he loves (being – and acting – happy), and how no trainers from other disciplines can say that’s how they train their horses. 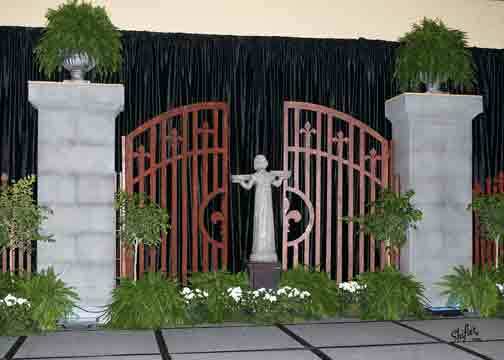 The theme of the masquerade ball was Midnight In The Garden Of Good And Evil. The ASHA Board Meeting took place at 1:30, and was followed by the AHHS Active General Member Meeting at 2 p.m., the final meeting before the crowning event that evening – the “Midnight In The Garden Of Good And Evil” Masquerade Gala. The cocktail reception started at 6 p.m. for the black tie optional event, photographer Doug Shiflet snapping photos of all of the attendees in their masquerade masks. The dinner that evening was roast beef, served with roasted vegetables, potatoes, a wedge salad and chocolate cake. 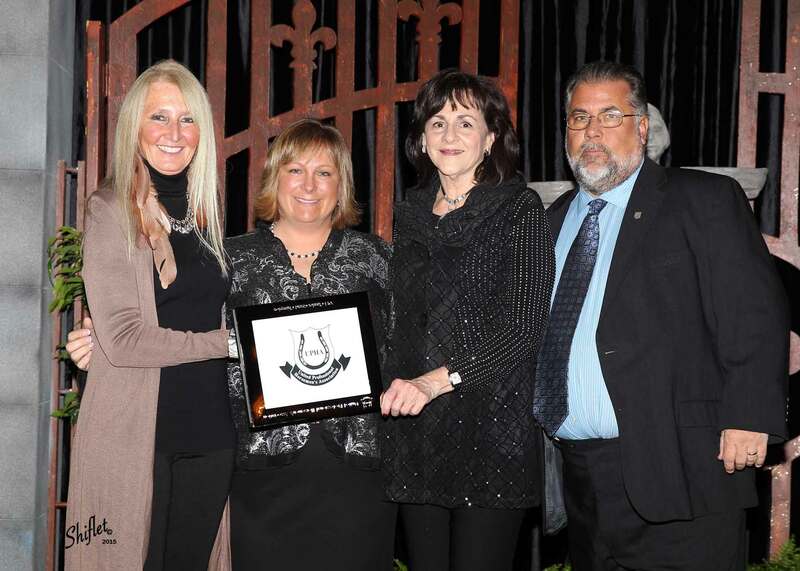 Exciting awards were presented to many deserving people, but the highlights of the evening included Mary Lib DeNure, the first rider to win all three equitation finals, flying in from Connecticut to surprise her childhood instructor, Jan Lukens, as she received the UPHA Helen K. Crabtree Equitation Instructor Hall Of Fame Award, and the inductions of Nelson Green, Ronnie Graham and Chuck Herbert into the UPHA Tom Moore Hall Of Fame. Another touching moment took place when the UPHA Ribbons Of Service awards were announced, and a check was presented to St. Jude Children’s Research Hospital for $75,738.50. Along with the St. Jude representative was Trevor, a child who is being treated at St. Jude. Both he and his mother spoke about how St. Jude has touched their lives. Since the start of the Ribbons Of Service program in 2009, saddle seat riders have raised over $360,000 in just six years. The live auction took place midway through the evening’s festivities. Among the 11 items were a one-week stay at Villa del Oso in Sayulita, Mexico, and a breeding to the Fine Harness World’s Grand Champion Nutcracker’s Nirvana, which sold for an astounding $7,500. They came. They saw. All that’s left is to conquer.